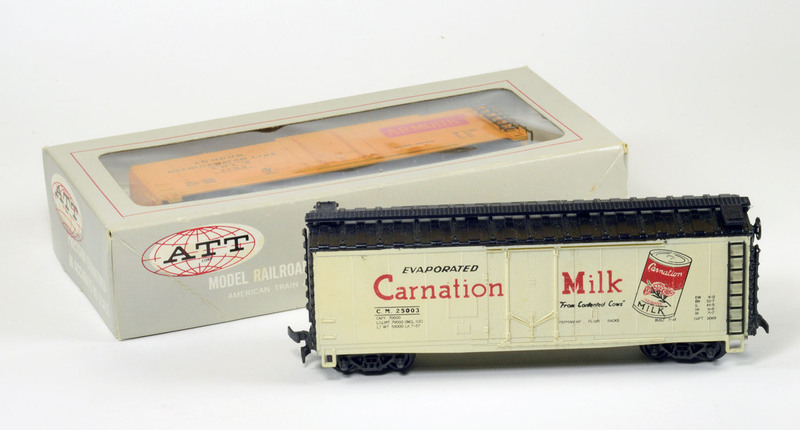 Introduced in 1967, American Train & Track (AT&T) offered HO-scale freight car selections imported from Austria to North America. 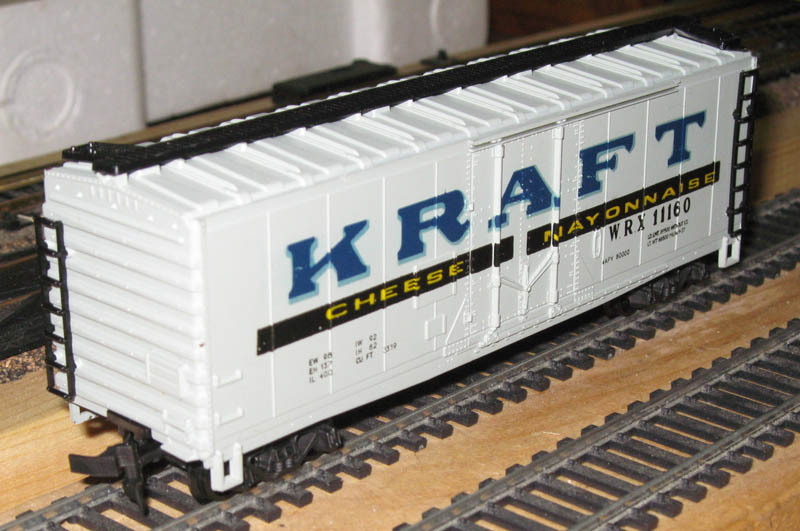 These Roco-made freight car models saw inclusion in other hobby company catalogs, including AHM, Model Power, and others. 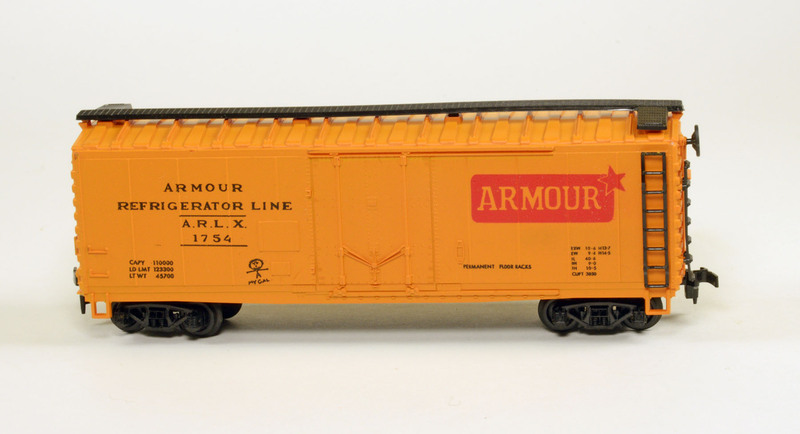 This 40-foot plug door boxcar offering included separately applied plastic ladders, rooftop running boards, and end brake wheel. The plastic body shell snapped over a plastic underframe that included a metal weight on its inside surface. The plastic trucks presented friction-style sideframes with X2f couples attached to the trucks. The model appeared in AT&T’s 1967-68 and 1968-69 product catalogs and featured a $2.49 suggested retail price.